Spend your time enjoying your pool and spa — not cleaning and maintaining them. Beyond saving you time, hiring a professional to manage all of your maintenance helps ensure the pool is sanitized correctly, equipment is cared for properly and potentially costly issues are caught early. What’s Included in Our Pool Maintenance Services? 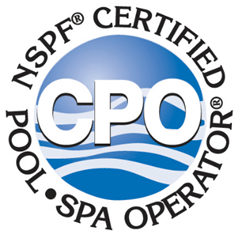 We provide a full list of services to keep your pool clean, functional and looking its best. Our service area includes pools from Marathon to Key Largo, going as far up as South Beach. For typical residential pools, it will cost anywhere from $125 to $185 a month for maintenance services depending if there is a spa, additional water features, age of pool and equipment and exposure landscaping and debris. Commercial pool maintenance could range from $400 to $3,500 a month. Take back your weekends, and let us handle your pool and spa maintenance.